Welcome to Local Food Loop! Set up and manage your Premium Listings. To access the Premium Listing Control Panel, you must first read and agree to these Terms and Conditions of use. I acknowledge that I have read and agree to the Terms and Conditions of use of the Local Food Loop Premium Listing service provided by Conservation Enterprises Pty Ltd. The Website Owner is Conservation Enterprises Pty Ltd (ABN 96592563770) trading as “Local Food Loop”. The Domain Name is www.localfoodloop.com (the “website”). Locl Food Loop does not warrant the accuracy, adequacy or completeness of material on this website. All information may be changed, supplemented, deleted or updated without notice at the sole discretion of Local Food Loop. Local Food Loop does not guarantee that the website will be free from viruses, or that access to the website will be uninterrupted. The copyright for the content on this website is owned or licensed by Local Food Loop and is protected under the Copyright Act 1968 (Cth) and by other copyright laws in both Australia and other countries. No material on this website may be reproduced, adapted, uploaded to a third party, linked to, framed, performed in public, distributed or transmitted in any form by any process without the specific written consent of Local Food Loop. All custom graphics, icons, and other items that appear on the website and all associated trademarks, are trademarks of Local Food Loop. Local Food Loop does not encourage you to make feedback, suggestions, comments or requests (“comments”) but these comments may be made to info@ylocalfoodloop.com and if you do make comments, you acknowledge that: they will not be considered confidential or proprietary, and Local Food Loop is under no obligation to keep such information confidential, and Local Food Loop will have an unrestricted, irrevocable, world-wide, royalty free right to use, communicate, reproduce, publish, display, distribute and exploit such comments in any manner it chooses. The website may contain links to third-party websites and resources (“linked sites”). These linked sites are provided solely as a convenience to you and not as an endorsement by Local Food Loop. Local Food Loop makes no representations or warranties regarding the availability, correctness, accuracy, performance or quality of the linked site or any content, software, service or application found at any linked site. Local Food Loop may receive payments and/or commissions from operators of linked sites in relation to goods or services supplied by the operator as a result of you linking to the third party website from the Local Food Loop website. Local Food Loop generally encourages and agrees to your linking to the Home page through a plain text link on your website without the need for agreement between yourself and Local Food Loop. However, linking to any other page of the website or using the Local Food Loop logo as a component on your website is strictly prohibited, without express written permission from Local Food Loop. Local Food Loop makes no representations or warranties about the accuracy, completeness, security or timeliness of the content, information or services provided by the website and disclaims all warranties, either express or implied, statutory or otherwise, including but not limited to the implied warranties of merchantability, non-infringement of third parties' rights, and fitness for a particular purpose. If Local Food Loop is found responsible for any damages, Local Food Loop is responsible for actual damages only. In no event shall Local Food Loop be liable for any incidental, indirect, exemplary, punitive and/or consequential damages, lost profits, or damages resulting from lost data or business interruption resulting from the use of or inability to use the website. The following Conditions of Sale shall apply to any product sold on this website. These Conditions of Sale constitute a complete and exclusive statement of the agreement and understanding between you and Local Food Loop with respect to the subject matter hereof. The products available on the website for sale under these Conditions of Sale are only available for sale to individuals who can make legally binding contracts. The products are not available to persons under the age of 18 years nor any other person legally prohibited from entering into a binding contract. By subscribing to a Local Food Loop Premium Listing or purchasing any other product available on the website you are verifying to the Local Food Loop that you are able to make a legally binding contract. Your order is an offer by you to purchase a particular product or service for the price (including the delivery and other charges and taxes as applicable) specified on the website at the time of offer and shall be understood to be placed under these Conditions of Sale. Local Food Loop reserves the right to accept or reject your offer for any reason, including, without limitation, an error in the product description or the price posted on the website, the availability of the product, or an error in your order. Your contract with Local Food Loop only comes into existence when Local Food Loop forwards you an email containing confirmation of receipt of your order, an acceptance of your order, confirmation of receipt of your payment and details of likely delivery. In the case of goods purchased, you shall inspect the goods immediately upon their arrival and shall within seven (7) days give notice to Local Food Loop if the goods are not in accordance with specified requirements. If you fail to give such notice, the goods shall be deemed to be in all respects in accordance with the specified requirements. No claim shall be recognised unless made in writing and received by Local Food Loop within seven (7) days after receipt of goods by you. The total amount of any claim shall not exceed the actual invoice value of the goods claimed to be faulty. In the case of services purchased, you shall inspect the service immediately upon it being made availabel to you and shall within seven (7) days give notice to Local Food Loop if the service is not in accordance with specified requirements. If you fail to give such notice, the service shall be deemed to be in all respects in accordance with the specified requirements. No claim shall be recognised unless made in writing and received by Local Food Loop within seven (7) days after receipt of the service by you. The total amount of any claim shall not exceed the actual invoice value of the service claimed to be faulty. Ownership and property in any goods supplied/delivered shall pass from Local Food Loop to you when Local Food Loop accepts your offer and assigns product in the Local Food Loop warehouse. Risk passes to you upon delivery to your warehouse or to an agreed delivery point. Local Food Loop shall not be responsible for non-delivery or delay in delivery of any goods caused by force majeure and you and Local Food Loop shall be excused from performance of their respective obligations when and to the extent such performance is delayed or prevented by force majeure. If your need for the goods is reduced or suspended as a result of force majeure, and notification is within reasonable time of acceptance of the Order and prior to transfer of ownership, you shall be entitled to terminate the agreement. For the purpose of this commitment force majeure shall include but is not limited to natural disasters, civil disasters, political event, change of legal / political environment, business disruption, accidents, earthquake, flood, hurricane or typhoon, tornado, tsunami, volcanic eruption, wildfire/bushfire, landslide or avalanche, fire, flood, storm, earthquake, terrorist acts, revolt, war, financial markets disturbances, changes of regime or tax or regulatory authority, energy failure, external telecommunications failure, and/or failure of transport systems. You assume all risks and liabilities for consequences arising from the use of the goods and/or services whether singly or in combination with other goods and services and indemnify Local Food Loop in respect of any such use. Local Food Loop is not liable for any infringement of patent rights arising out of the use of such goods or services by you or your instructions, expressed or implied, and it is your responsibility of to ensure that the goods or services when used by you are not damaged or altered and no liability will be accepted by Local Food Loop for the consequences of the use of damaged goods or altered services by you. Nothing in these Conditions of Sale is intended to exclude, restrict or modify any statutory obligation of Local Food Loop implied by the Goods Act, 1958. A Local Food Loop Premium Listing can be purchased as a recurring monthly subscription or as an recurring annual subscription. The Local Food Loop Premium Listing subscription is offered to you for purchase by Conservation Enterprises Pty Ltd, ABN 96592563770 (Australia) as owner of the Local Food Loop trademark. By accepting these terms and conditions you agree to pay the fees as outlined on the Local Food Loop website in return for access to the Local Food Loop Premium Listing Control Panel that will enable you to create and manage your Premium Listing. 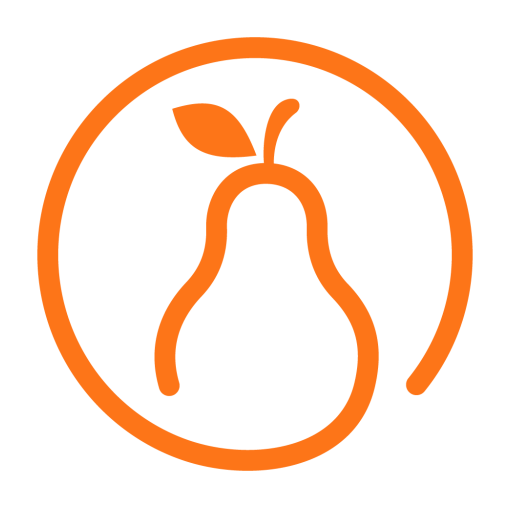 Monthly Subscription: a monthly subscription to a Local Food Loop Premium Listing will start when Local Food Loop confirms your payment via the Braintree payment system. It will continue for a month, calculated by date. When you purchase a monthly subscription, auto-renew is automatically selected in your Local Food Loop account. At the end of the monthly subscription period, your monthly subscription will be automatically renewed and your payment for the following month will be automatically charged to the credit card you have provided to us as part of your account details. If you do not wish your monthly subscription to auto-renew, you may uncheck the auto-renew box on your Local Food Loop account page prior to the end of your current subscription term. Annual Subscription: an annual subscription to a Local Food Loop Premium Listing will start when Local Food Loop confirms your payment via the Braintree payment system. It will continue for a period of one year, calculated by date. Annual subscriptions purchased on the Local Food Loop Premium Listing account page are paid in full in advance. When you purchase your annual subscription to a Local Food Loop Premium Listing, auto-renew is automatically selected on your account page. At the end of your annual subscription period, your annual subscription will be automatically renewed and your payment for the following year will be automatically charged to the credit card you have provided to us as part of your account details. If you do not wish your subscription to auto-renew, you may uncheck the auto-renew box in your Local Food Loop account page prior to the end of your current subscription term. Once you publish your Premium Listing by authorising payment for your Subscription, your Premium Listing is deemed to be active. If you allow your subscription to lapse, your Local Food Loop Premium Listing will revert automatically to a Basic Listing and your Premium Listing account will be suspended. If your subscription lapses, we will notify you immediately. We may at our discretion provide a short grace period within which you may re-subscribe to your Premium Listing without losing your Premium Listing content or other account details. An internet connection is required to use and manage your Premium Listing. Without an internet connection, you will be unable to manage your Premium Listing, including your account details. Users of the Local Food Loop smartphone app and website also require an internet connection in order to view any of the digital content you may include in your Premium Listing(s). Subscription pricing is subject to change. Any new pricing will take effect upon renewal of your subscription. We will always honour all existing subscription agreements for the duration of the agreement. If new pricing is set, we will notify you in advance that this has occurred and provide you with details of any new costs and benefits before your current subscription expires. Discounts: there is a standing discount offered for an annual subscription. Details of this are provided on your account page and elsewhere on the Local Food Loop website. Area Supporter Subsidies: from time to time, third parties ("Area Supporters") may wholly or partly subsidise the cost of a Premium Listing subscription for account holders. The Listings and/or accounts that may be subsidised will be chosen at the sole discretion of the Area Supporter. Local Food Loop will apply these subsidies in the form of discounts to the price of one or more Premium Listing subscriptions after such time as an Area Supporter becomes active and notifies us of the Premium Listing(s) they wish to subsidise. If you are selected by an Area Supporter as a beneficiary of a subsidised Premium Listing, Local Food Loop will alert you to the opportunity to have the subsidy applied to your subscription fee in the form of a discount. You may then request that the discount be applied. If you choose to have your Premium Listing subsidised by accepting the offer made by an Area Supporter, the name of that Area Supporter will appear on one or more of your Premium Listing screens indicating a geographic or sectoral relationship between you and the Area Supporter. Area Supporter subsidies offered as discounts will be applied only to future subscription renewals. There will be no retrospective Area Supporter discounts applied to Premium Listings. If you choose to take up an offer of an Area Supporter subsidy and you are part-way through a pre-paid Premium Listing subscription period, the Area Supporter subsidy will be carried forward and applied to your next subscription purchase. This applies equally to monthly and annual subscriptions. We will also notify you by email when an Area Supporter subsidy is about to expire so that any changes to the price of your upcoming subscription renewal are clearly explained and expected. Once an Area Supporter subsidy expires, all previously discounted subscriptions will revert to their unsubsidised prices. Content: your subscription includes unlimited access to the Premium Listing Control Panel that you will use to manage both your listing and your account details. Use of your Local Food Loop Premium Listing Control Panel is necessary in order to make certain text, images and other information available to users of the Local Food Loop app and website. By entering, uploading or otherwise providing such information ("Content") to us via your Premium Listing Control Panel, you extend to us the world-wide right to publish, display and variously re-use that Content in any digital and printed form for the purpose of operating and publicising the Local Food Loop smartphone app, the Local Food Loop website, and Local Food Loop generally. You also warrant to us that any and all model releases for photographs showing recognisable people, and all copyright permissions of images and other content you may provide to us, exist and are in order. If you wish to dispute a payment, you may do so using the email address shown on our website or through the link provided in your Control Panel. If you are unable to access the internet you should call us on 03+5224+1867. Premium Listing Subscriptions are non-cancelable and non-returnable except as required under Australian law and additionally in accordance with these terms and conditions. If doubt exists as to precedence of these terms and conditions and Australian law, Australian law will take precedence. No refunds will be paid on any remaining subscription period unless the service provided is deemed to be faulty or not in accordance with specified requirements as outlined in 15.h. above or in this section. If, within 30 days of activiating your Premium Listing, you feel that the service we have offered is faulty or not in accordance with specified requirements, you may request a refund. Provided we receive your request within 30 days of you activating your Premium Listing, we will provide you with a full credit card refund and suspend your account. Refunds will not be provided where your dissatisfaction has arisen from the nature, ownership, usefulness, accuracy or effectiveness of the content you may or may not have uploaded or entered into your Premium Listing Control Panel. We will notify account holders if and when these terms and conditions change. All other users of the website are encouraged to review these terms and Conditions periodically for changes that may affect their use of the website.